A new twist on an old favorite with the Creative Grids 15-Degree Triangle Ruler! This fan block has no curved piecing or applique! Each cat block comes together quickly brining a smile to your face! Great for scraps! 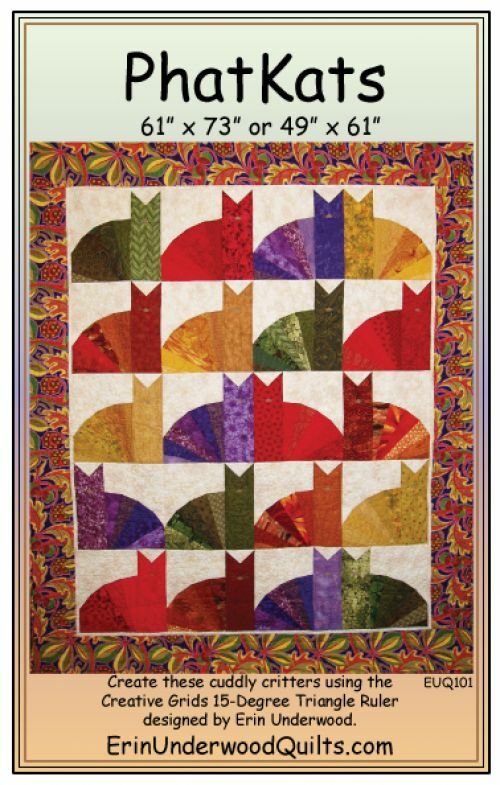 The pattern offers two sizes, 61" x 73" and a smaller version measuring 49" x 51".